So how can a homeowner get the quality windows they need at a cost they can afford? Some window companies require cash, but Stanek® Windows has partnered with GreenSky®, a leader in home improvement lending. We offer payment plans that help your window replacement project fit within your budget with payments starting at only $88 per month. But can you realistically afford it? To buy a small daily coffee or cappuccino at your local coffee shop, it will cost you roughly $2.95. If you are like most people and need your java fix every day, the costs can add up. At the end of the month, you’ll pay around $88.50 for your wake-up juice. For the same amount of money per month, you could replace many of the windows in your home. To go out to a nice dinner at your favorite restaurant for a family of four could cost you as much as $100+, obviously depending on where you go! Go to a really nice restaurant with your significant other and easily spend $100 for just the two of you. For less than your monthly meal out, you could replace many of the windows in your home. On average, the cost of a round of golf for two at a public course is approximately $85. Add in a few drinks and your cost for the day could easily push $100. For roughly the same monthly cost, you could be enjoying new energy efficient windows in your home. We’re not suggesting you cut out the things in your life you love in order to afford new, quality windows for your home. We’re simply saying the windows you need are more than likely affordable given our financing options! Plus, you’ll enjoy a more comfortable home with less temperature fluctuation, lower heating and cooling bills over the course of time, as well as added curb appeal, noise reduction and increased security, just to name a few. 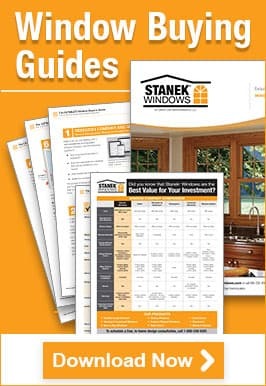 When you are ready to move forward with your replacement window project, consider Stanek Windows. Our exceptional quality windows are custom made for your home in our very own manufacturing facility located in Ohio. We don’t outsource the production of our windows. 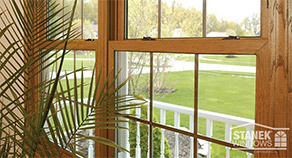 They are crafted by our hardworking employees who take great pride in creating the best quality windows for your home.